There are three criteria that should usually be met when building wood fence gates that wont sag. If you can successfully meet these requirements the gate can quite large and still not sag. The first criteria is a solid mounting surface. If the gate is mounted to a structure it must be secured well enough that the hinges don’t pull away from the gate or structure. The use of lag bolts or thru-bolts with nuts and washers is often required to support the weight of larger gates. If the gate is mounted to a post, it must be mounted securely as previously stated. Additionally the post must be rigid enough not to bend or bow under the weight of the gate and set solidly enough into the ground to not rack because of that same weight. Another important principle in building wood fence gates that wont sag is securely fastening the corners of the gate. On larger gates, it may be necessary to use metal brackets or plates secured with screws to reinforce the corner joints. If the corners are not fastened securely the bracing which is the next requirement will not function properly. The last criteria for building wood fence gates that wont sag is diagonal bracing. Often “X” bracing is used in a gate because the symmetry is aesthetically pleasing to the eye. 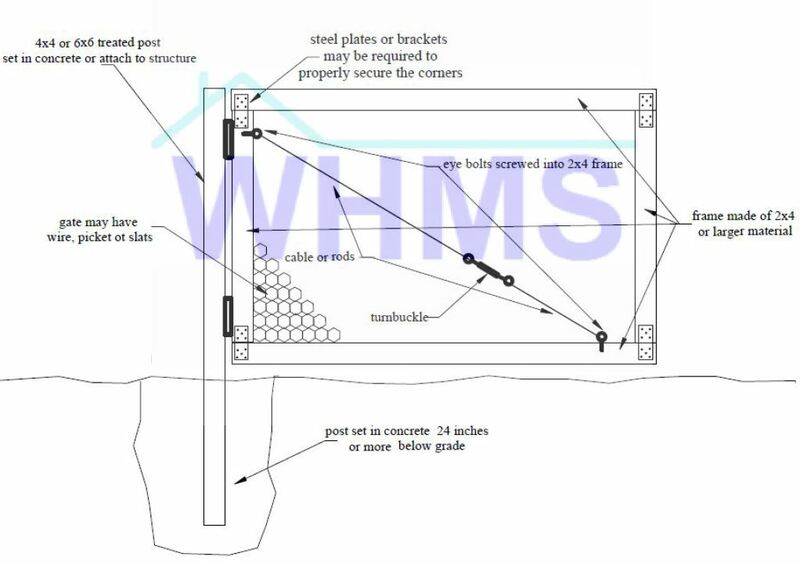 What is critical however is just one diagonal brace properly placed and secured. This brace can be secured near either the top or bottom of the hinge side and extend to near the opposite corner on the latch side of the gate. If it is attached at the bottom hinge side it must be made of a rigid material that can withstand compression forces as the weight of the gate presses down on, and is supported by the brace. 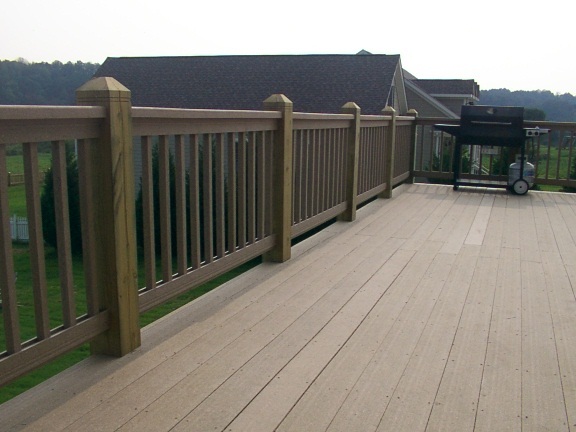 Compression bracing can be achieved with rigid material such as wood, steel or aluminum. If it is attached at the top hinge side it must have enough tensile strength to support the weight of the gate as it pulls down on and is supported by the brace. Tensile bracing can be achieved with rigid material such as wood, steel or aluminum but can also be achieved with non rigid components such as cables, wires or rods. A common form of tension bracing utilizes a cable or rod in conjunction with a turnbuckle which allows for some up or down adjustability of the gate . This entry was posted in Exterior Maintenance, Railings & Fences and tagged building gates tha, Fence gates, Wood gates. Bookmark the permalink.